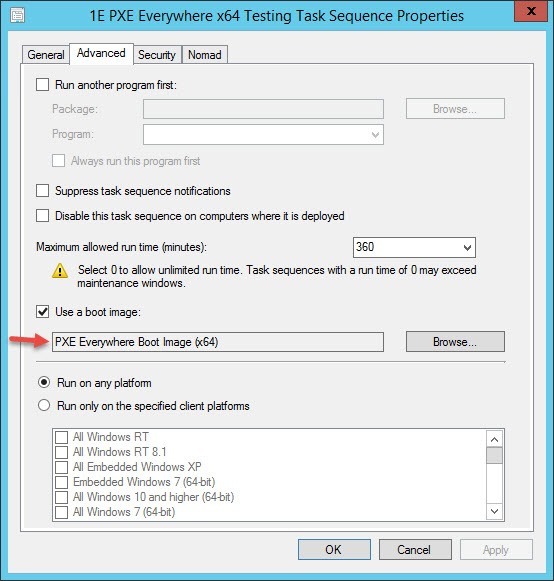 If you have ever had the need to test the PXE booting capabilities using System Center 2012 Configuration Manager using a Required Deployment, but did not want the OS Deployment part, then this blog is for you. With Available Deployments, the user has to press an additional key to get the system to PXE boot. 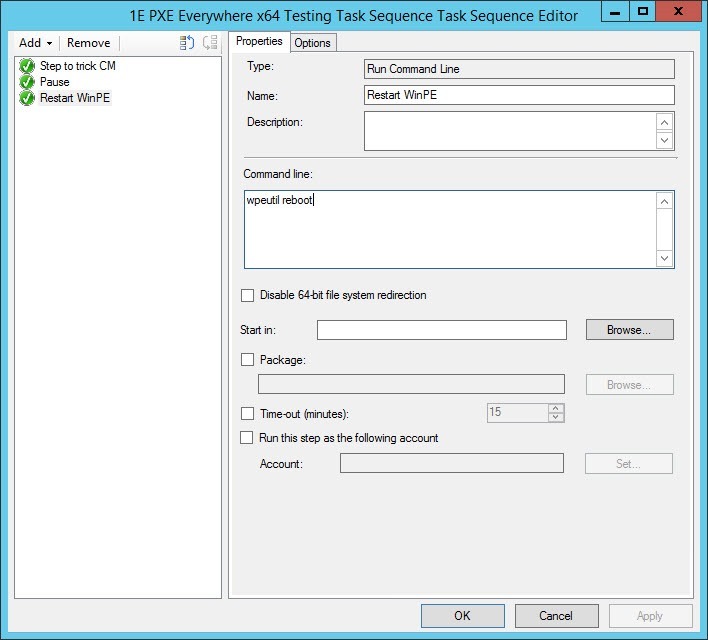 Once the system boots into WinPE, the wizard is displayed with the list of available Task Sequences. This makes it nice and easy to test PXE booting functionality and network connectivity of your boot image without starting an actual Task Sequence. 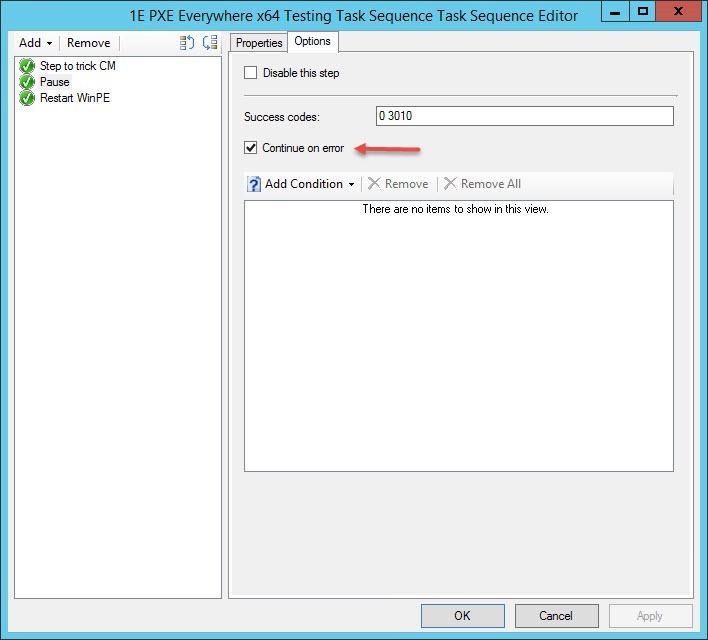 However, with a Required Deployment, no additional key press is required and when you are in WinPE, it is off to the races. Not a big deal if you are testing on virtual machines, but what if you want to test on a new physical device that you need to roll out and you do not want to go through the whole OSD process? You could simply put a pause in the beginning of a full Task Sequence, but why bother since there is likely more policies that need to be download. Also, why take the risk? 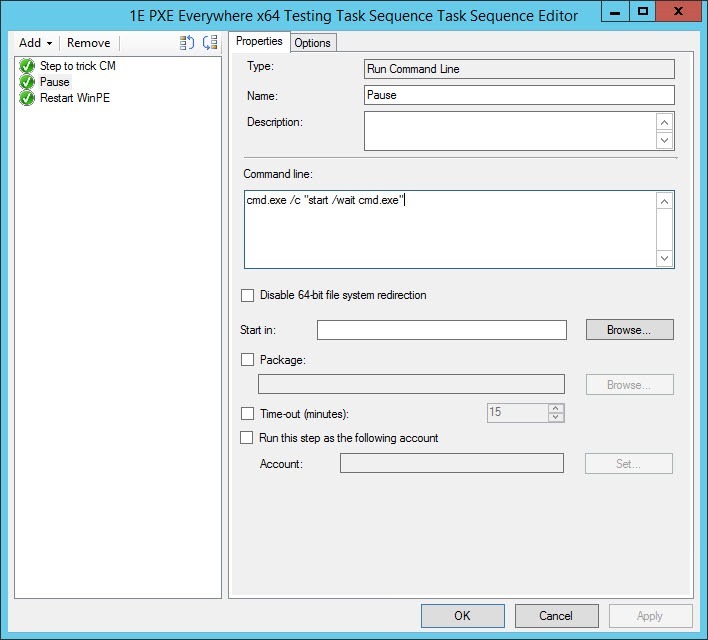 Here is a simple three step Task Sequence that you can use to do all of the Required (and Available) PXE boot testing without the OS Deployment. 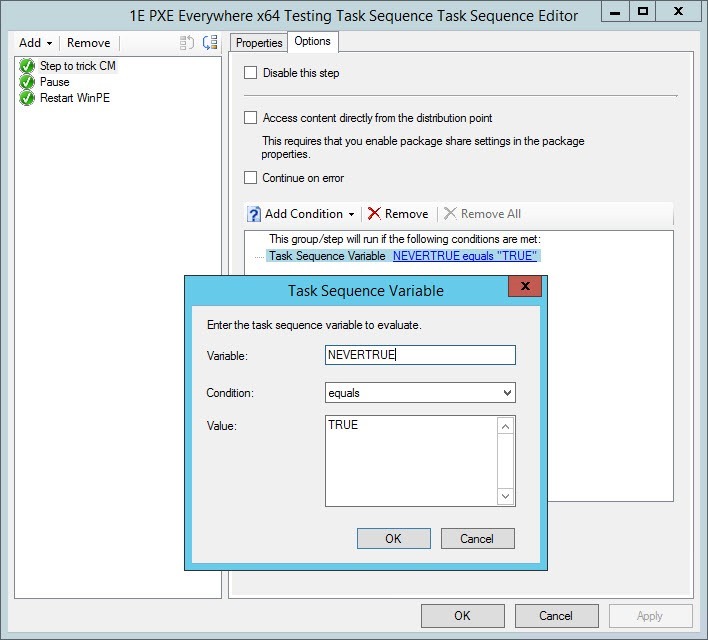 Next, edit the Task Sequence and add a Apply Operating System Image step, selecting an existing image package. 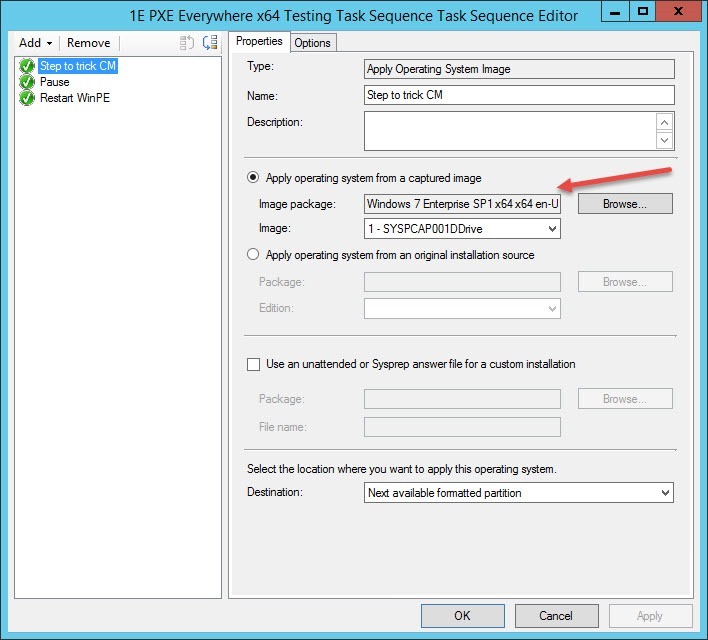 This step is required to make CM think that it is an OSD Task Sequence. Set continue on error on the Options tab. Set continue on error on the Options tab on this step as well. Save your changes and then then test it by creating a Required Deployment to a test collection to enjoy non destructive Required PXE Booting!